An attorney and a judge of the United States Court for the Indian Territory, William Joseph Albert Gill was born to John and Rhoda Gill on February 17, 1854, in Wheeling, Virginia (subsequently West Virginia). When Gill was about ten years of age, his family moved to Illinois. He attended the University of Illinois, read law in the offices of John A. McClernand and Charles Keyes, and was admitted to the state bar in 1880. After a few years in Illinois, Gill moved west to Oregon and then to Washington. He practiced law, edited a newspaper, and took an active part in Republican politics. In 1887 he moved to Kansas, where he married Nannie Donahue. In 1896 he was chosen as a delegate to the Republican National Convention, which nominated William McKinley for president. In 1899 Pres. McKinley nominated Gill for a seat on the United States Court for the Indian Territory. He succeeded Judge William M. Springer in the Northern District. Gill's duties required him also to sit on the Indian Territory Court of Appeals. Reappointed to the court by Pres. Theodore Roosevelt in 1904, Gill served in Indian Territory until 1907 statehood. As statehood approached, he served on a committee with Judge W. H. H. Clayton and the Hon. Tams Bixby of Tulsa to set up the election process for a state constitutional convention for Oklahoma. When he left the bench, Gill lived in Vinita. In that community he was active in the Baptist Church and served on the school board. He again served as a delegate to the Republican National Convention in 1912. Moving to Tulsa in 1920, he resided there and practiced law. He died on March 23, 1933, and is buried in Tulsa's Memorial Park Cemetery. "Joseph Albert Gill," Vertical File, Oklahoma Historical Society, Oklahoma City. Joseph Albert Gill, Jr., "Judge Joseph Albert Gill," The Chronicles of Oklahoma 12 (September 1934). Von Russell Creel, "Fifteen Men in Ermine: Judges of the United States Court for the Indian Territory, 1889–1907," The Chronicles of Oklahoma 86 (Summer 2008). 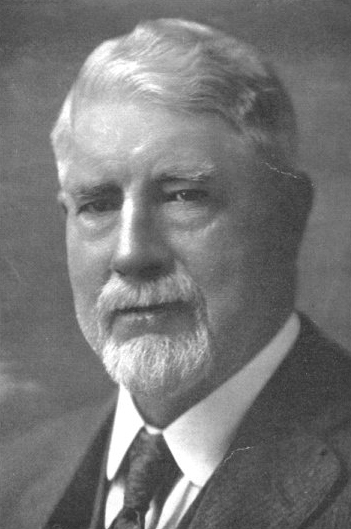 Von Russell Creel, "Gill, Joseph Albert," The Encyclopedia of Oklahoma History and Culture, https://www.okhistory.org/publications/enc/entry.php?entry=GI009.